This listing is for one set of KIMBER MICRO 9 grips. 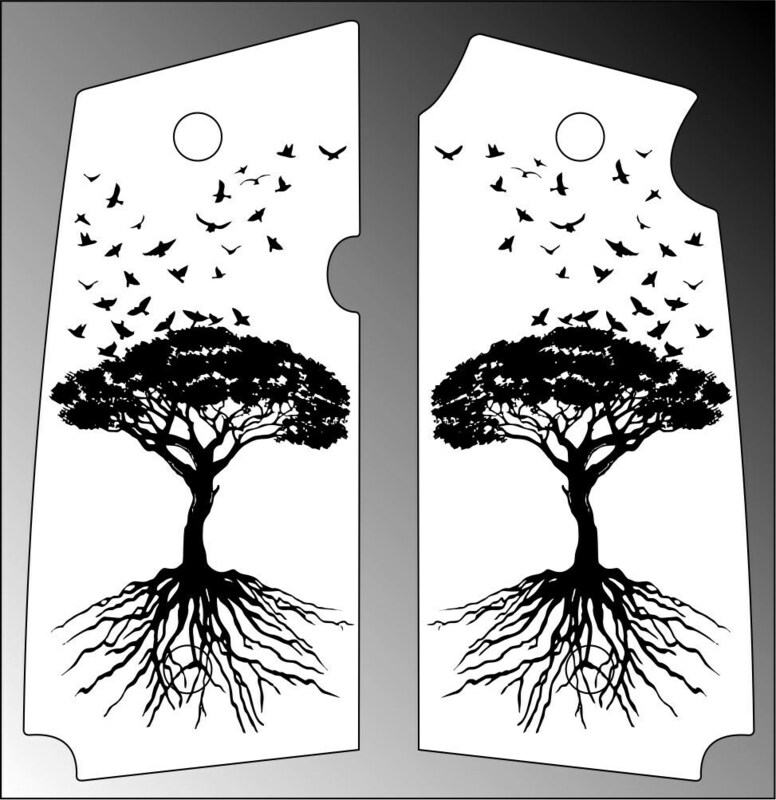 They will be made from MAPLE, and engraved, as shown in the picture, with the customer provided tree/birds image. The engraving will be paint inlaid BLACK, and they will be stained DRIFTWOOD (lt. grey), and finished with 5+ coats of lacquer for a very durable, and quite beautiful finish. Upon completion, they will be test fit on a similar KIMBER MICRO 9, however, due to some manufacture discrepancies, a small amount of end-user fitting may be required.